1980 Buick LeSabre Sport Coupe - From the mid 1970s through the 1980s, a "sport version" of a big GM sedan usually meant the car had nothing more than blackout trim, sport wheels and maybe bucket seats. Gone were the days of cars like the Impala SS. (Although that would make a comeback in the 1990s). This car has the obligatory blackout trim, sport wheels and bucket seats, but it also has one real semi-sporting feature; a turbocharged engine. The 3.8 liter V6 turbo was good for 170 HP. The car got to 60 MPH in 10 seconds flat, making it quicker than the V8 LeSabre. This car needs its engine rebuilt. Parts are very easy to find and inexpensive. The asking price is a realistic $799.00 (Canadian). This car is no Impala SS, but if you're looking for an older US sedan with a little something extra, this car may be worth checking out. Located in Calgary, AB, click here to see the Kijiji ad. A big thanks to JaCG reader, Kris, for sending me the link to this car! 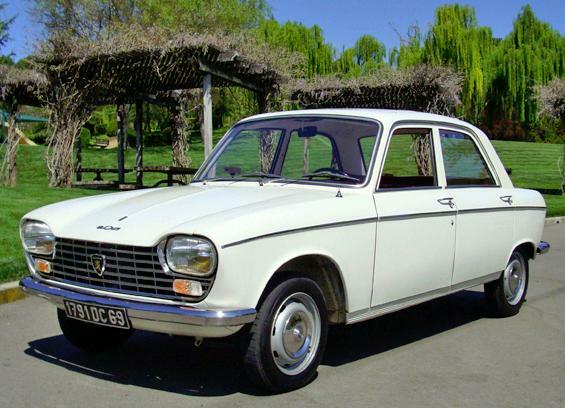 1968 Peugeot 204 - I really dislike ads like this one. The text is a cut and paste from Wikipedia. There is nothing written about this particular car. Still, I want to post it because it's a cool car and one rarely seen in the US. The 204 was never officially sold in the US. This is a private import and the seller has some of its original paperwork. This car looks to be in very nice condition. It may have originally silver in color as it looks like the engine bay is silver. The interior is in incredible condition for a 43 year old car. The asking price is a staggering $27,000.00. Located in Las Vegas, NV, click here to see the dealer's ad. The Cosworth Vega was a high tech car back in its day. Unfortunately, it was never the world beater Chevy originally hoped it would be. Worst of all, by the time the Cosworth hit the showrooms the standard Vega had gained its - well deserved - reputation for being a poorly built car. Few people were willing to spend Corvette money on a Vega, no matter how high tech it was. This car has a 6900 miles on it. The seller says the mileage is documented. 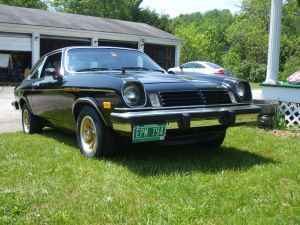 The asking price of $13,000.00 is top dollar for a Cosworth Vega. Located in Barre, VT, click here to see the Craigslist ad. A big thanks to JaCG reader, Matt, for sending me the link to this car. 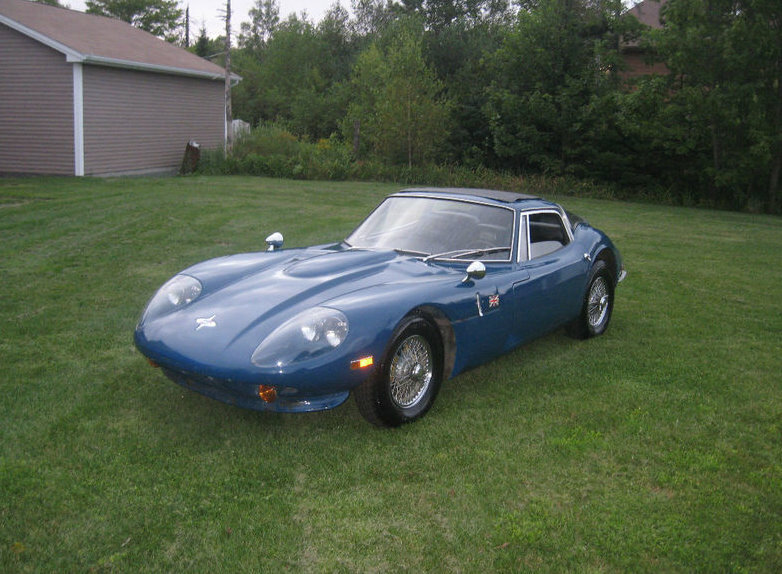 The Marcos GT came with a number of different engines over the years. This one has the desirable Ford 3.0 liter V6 in it. The seller says the car runs well and the frame is in good shape. (The body is fiberglass.) It could use some paint and some "tidying". The seller is including new seat upholstery, weatherstripping, carpet and shifter bushings. This is a cool old British car that would be a hit at any car show. Located in Cole Harbour, Nova Scotia, Canada, click here to see the eBay listing. On that Peugeot someone has been smoking Way too much of the green stuff! $27K for a Peugeot that's hilarious, even funnier than the $10,000 Skoda, Do these people actually think someone going to pay that kind of cash for these oddballs?? One thing is for sure, the Owners are going to get to Keep these cars for a very long time! Yeah, that Peugeot seller is pretty ridiculous, yet it's the people who own an automobile collection at the Imperial Palace in Las Vegas; it's the place I stayed at almost 10 years ago and I actually went and looked at their autos one night while I was there. I barely remember it given how long ago it was, though. 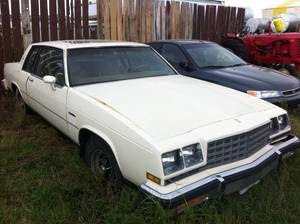 They're also selling a 505 sedan from '80 with a little less than 5,000 miles and the price is... 39,500 dollars! I doubt that even if one of us suddenly became a billionaire overnight, that we'd pick that up for 40 grand. I saw this at the Imperial Palace museum (which, btw, is AWESOME!!!) in June and, yes, it's a lovely car, but I thought 5 or 6 grand would be more like it. They did sell the 204 in Canada in the late 60s, I think they got the coupe and convertible, too! With quad round headlights, too. The Peugeot: "With a total of 1127cc the 204 produced 55 Bhp giving it ample power". Ample power is quite a stretch.. Can you imagine taking your family out in a 4 door sedan today with 55hp? And I'll bet the seller got it in an estate sale for $800. However I must say, I do like the looks of the Peugeot. I have also seen the Imperial Palace museum (about 2 years ago) and it is a must-see for any car enthusiast, especially if you like Eurpean cars. They have some very interesting models you won't see anywhere else.